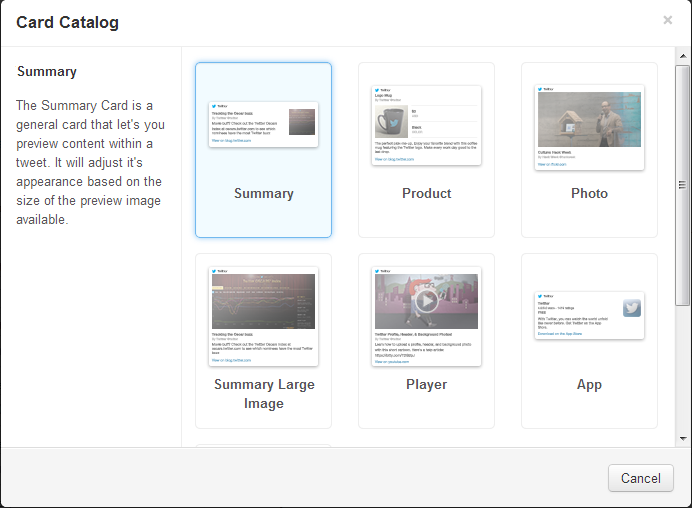 Hello Friends, this tutorial will help you to implement one of the Twitter card, Summary Card. Today we will see implementation of Summary Card. Summary card gives preview of website to reader which get shared via twitter. It is a rich snippet which display Title, Description and Image of shared website. 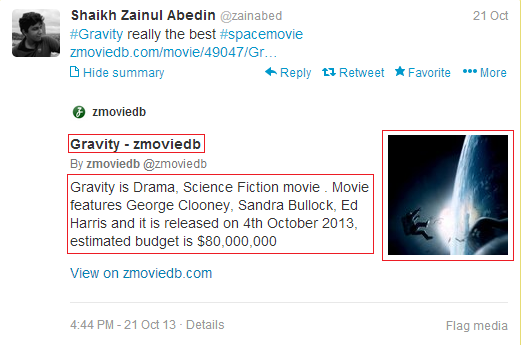 To use summary card you need to add few meta tags in your webpage. 2. 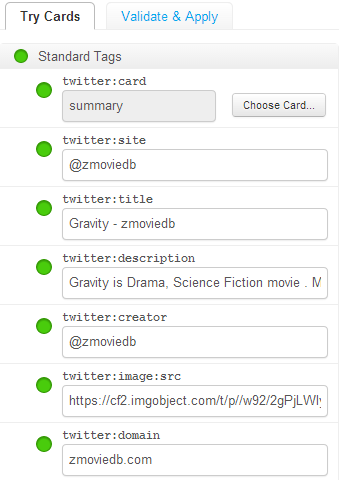 Choose Twitter Card, which is Summary. 4. Then select sample embed code and put it into head section of your site/webpage. 5. 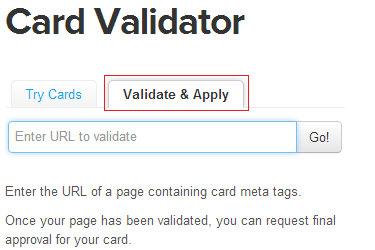 After updating meta tags into your website visit validation section of Twitter Card and click on “Validate & Apply” button. 6. It will ask for website URL , then past your website URL where you have recently updated summary card. 8. If all goes well then it will show Summary card preview of right side. 9. If something goes wrong then it will gives you warning. Hope this tutorial will help to get start with Twitter’s Summary card.